Jibbon Hill Lands (Former Night Soil Depot), Bundeena. Sutherland Shire Council has resolved to hand over the 8.5 hectare former “night soil depot” at the south of Spring Gully, Bundeena, to the National Parks and Wildlife Service (NPWS). Spring Gully Supporters celebrate Council’s decision to hand over the former night soil depot outside Council chambers, with Mayor Kent Johns. The two upland swamps located here are the lowest and closest to the coast of all the upland swamps which characterise the Woronora Plateau. They remind us that the incline of the Woronora Plateau, which forms the southern side of the Sydney basin on which the Royal National Park is located, starts here at Jibbon, Bundeena. The swamps are an important winter source of nectar for birds and a colony of eastern pygmy possum. They contribute to the health of the Bundeena wetland providing sustained water flow through Spring Gully. They also act as seed banks. A research site has been established in this area for over 25 years and is part of Australia’s Long Term Ecological Research Network. Eastern Suburbs Banksia Scrub (listed as an endangered ecological community under both state and federal legislation) was identified on this land by the Office of Environment and Heritage in 2014. It is the most southern occurrence identified in the Sydney Basin. The Jibbon Hill relic cliff dune separates the two upland swamps. It is one of the largest relic cliff dunes in south-east Australia and the largest in the Sydney basin. The dune extends 1.5km north-south from Spring Gully to “The Water Run”. The Jibbon-Marley cliff dunes are believed to have formed up to 10,000 years ago, when the sea level was lower and the coastline was several kilometres further east. The dunes migrated to their current location pushed by coastal winds as the sea level rose and the coastline shifted inland. The erosion of the Hawkesbury sandstone shoreline, forming the dramatic vertical sea cliffs in this area, left the dunes stranded above the cliffs and they have long been stabilised by vegetation. Conservation of these relic cliff dunes is a stated priority in the Royal National Park plan of management. The unusual geomorphology and hydrology created by the relic dunes, including the deep quaternary sand soils overlaying Hawkesbury sandstone, which extend down into the eastern end of Spring Gully, has caused remarkable adaptation in the local vegetation. A dense woodland of bloodwood Corymbia gummifera wraps around the top of the gully in the lee of the dunes. Deep sands, frequent fire and harsh coastal conditions have caused these bloodwoods to form large lignotubers that spread over vast areas. The woodland reshoots from these lignotubers after fire. While this cycle of regrowth gives the impression that the thousands of slender trees that form this dense woodland are relatively young; in fact, it may be comprised of only a few individual organisms possibly thousands of years old. 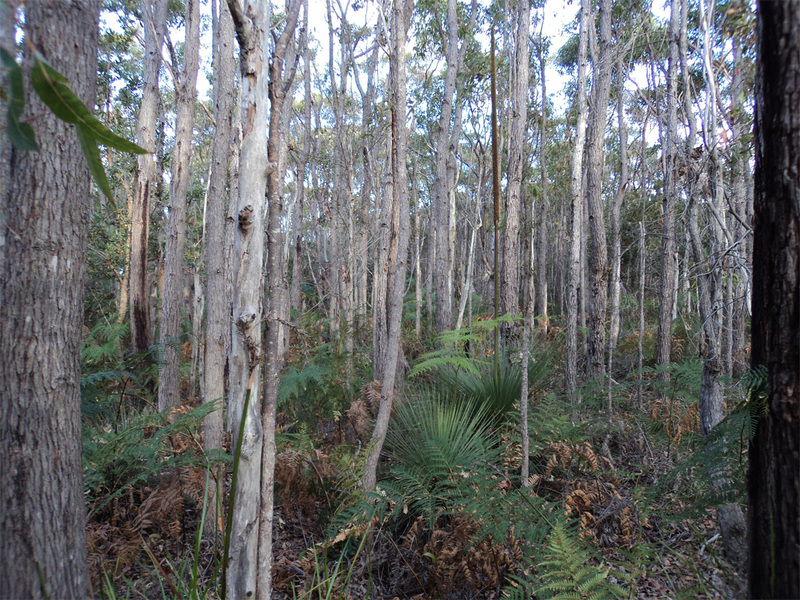 This woodland has been cited as an excellent example of coastal scleromorphy in southern hemisphere vegetation which is a key justification for the proposed world heritage listing of the Royal. 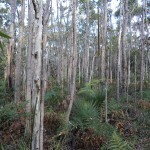 The bloodwood provide feeding habitat for sugar gliders. Every tree shows scars from previous feeding by sugar gliders. It is also habitat for eastern pygmy possum and ring tail possums. Former Scout land, Spring Gully, Bundeena. 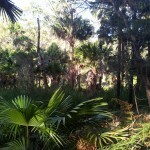 The battle for the conservation of the former Scout land at Spring Gully continues. 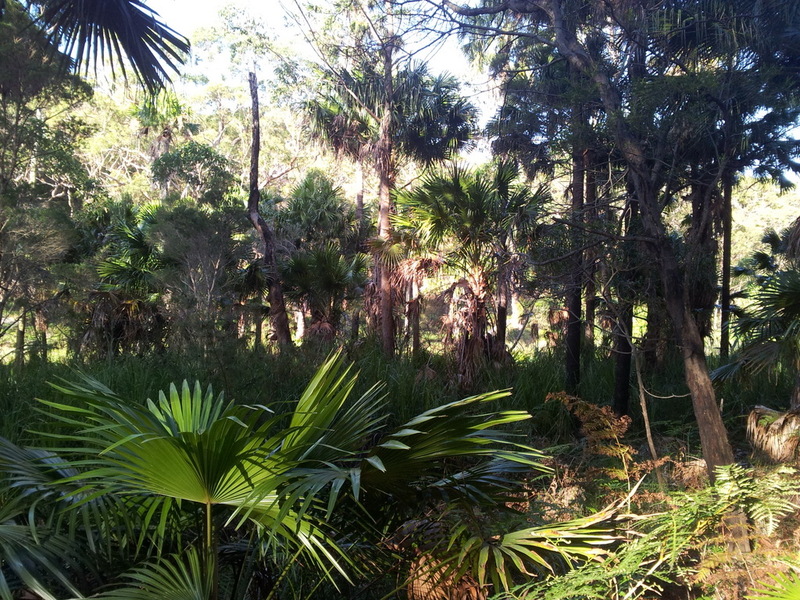 These 5.6 hectares of steep bushland sloping into freshwater wetland are located at the South of Bundeena. The Royal Coast Track passes this land. Scouts sold the land in 2013. Sutherland Shire Council has recommended that the land be placed on the land reservation acquisition map for future addition to the Royal National Park. While the land is zoned E2 Environmental Conservation in the draft Local Environment Plan currently before the Department of Planning, the owner has requested “ecotourism facilities” as a permissible use. The NSW Office of Environment and Heritage object to zoning for “ecotourism facilities” because the large areas of tree clearing required for bushfire protection is incompatible with the biodiversity value of the land. Several endangered ecological communities intergrade on the former Scout land: Sydney Freshwater wetland, Sand Bangalay Forest and Swamp Sclerophyll Forest. In the mean time, the owner has lodged a development application for a recreation camp under the existing zoning. The tree removal plan lodged with the applications marks 1,500 trees to be removed to create a bushfire asset protection zone. These trees are mostly Angophora, Bloodwood and Old Man Banksia. Many hundreds more trees will be removed from the bloodwood woodland under the bushfire consultant’s recommendations submitted with the applications. A total of 3.6 hectares of pristine bushland, dominated by majestic hollow bearing Angophoras, is proposed to be significantly degraded through canopy, understory and forest floor removal. One has to question whether the proposed degradation of such a large area of pristine forest and woodland is intended to facilitate rezoning for more intensive development in future. Campaign to Lobby the State Government for Conservation of Spring Gully. Sutherland Shire Council have concluded that the former Scout land has little prospect of supporting development without causing unacceptable environmental impact. Council has recommended to the Department of Planning for the land to be placed on the land reservation acquisition map so that it will be acquired in future for addition the Royal National Park. This issue is awaiting the Minister for Planning’s determination. Council has offered the neighbouring 8.5 hectare former Night Soil Depot bushland for addition to the Royal National Park. 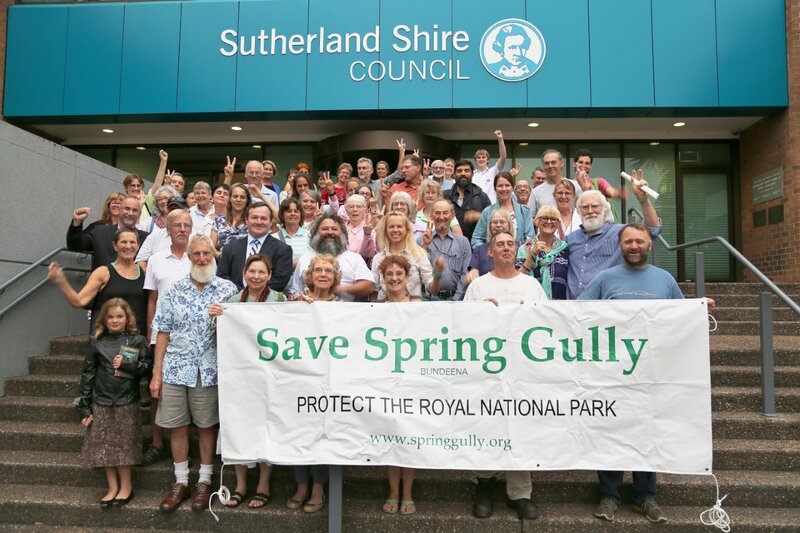 With the state election only weeks away, we are asking the community to join our campaign calling on local state candidates, the Minister for Planning and the Minister for the Environment and Heritage to support Council’s recommendation and pledge commitment to conservation of the Spring Gully lands and their addition to the Royal National Park. The development proposal requires a road through the Royal National Park!